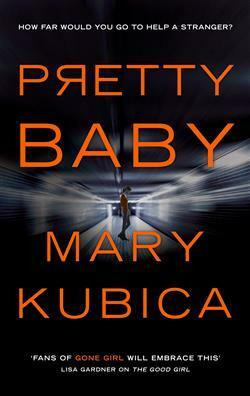 I really enjoyed Mary Kubica's first novel 'The Good Girl' so when I saw 'Pretty Baby' I knew I had to read it and I wasn't disappointed. Pretty Baby grabbed me from the first page and wouldn't let go. From it's tightly woven plot with enough twists to keep you guessing to the well developed and complex characters, Pretty Baby is everything I hoped it would be and more. Packed full of emotion and mystery it deals with sensitive issues and how sometimes even the most well intended deeds do not always end up going according to plan. Written from multiple points of view gave a fascinating insight into the complexity of the characters and their interactions, slowly feeding the suspense and mystery of the compelling story line. I highly recommend this suspenseful page turner and look forward to reading Kubica's future works.